Microsoft has recently announced the launch of its new operating system, Windows 10, aimed at addressing the issues which users faced with Windows 8. Although Windows 9 was the obvious name, Microsoft decided against it stating that it should not be considered as an incremental product. Windows One was another option that Microsoft dabbled with; however it was already taken and thus the decision to name it Windows 10 to stay in sync with the internal strategy of One Microsoft. Windows 10 is equipped with are many new features and options – here is the list of seven that users must know about. New desktop of Windows 10 brings along an innovative and improved way for keeping a track of the open apps by switching between the desktops. This can be done by either swiping from left edge of screen to get a view of all open files and apps on a single page or hitting the button named Task View present on the task bar. While the same function can be performed through Alt-Tab shortcut on the keyboard, novice users and those who prefer touch mechanism will find it very convenient to find out what is running. 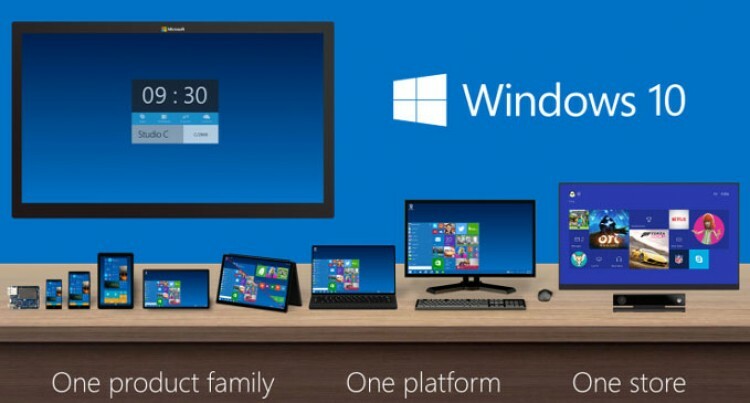 Microsoft has launched Windows 10 with the aim of appealing to businesses, better than it was able to do with Windows 8. It was much needed as well, because Windows XP is quite old and not supported anymore and businesses were looking for a better option to make a switch from previously used Windows 7. Not only that but this new version is said to have plenty of other surprises for enterprises, like a customer store and enhanced protection for business data. The Start Menu has been brought back, along with what users were offered in Windows 8, making it one of the most significant and notable features of the new operating system. The Start button has been placed on the bottom left corner of the screen, as seen in previous versions of Windows, which opens up two panels. The left column is from where users can access pinned, most used and recently opened apps. There is a power button on top, which has options like Standby, Hibernate and Shutdown. In the right column is a selection consisting of tiles, similar to Windows 8, which can be reorganized, customized and resized. Windows 10 comes with a Search tool, Universal Search, which can be accessed at the bottom of Start Menu. What makes this option different from the ones already present in the previous versions of Windows is that not only it can be used to search for various files and programs, but it can also look up for related results online. It means that users do not need to open a separate browser to look for information on Wikipedia. This feature offers an experience similar to having a separate monitor for running a different set of windows, but without requiring a separate physical monitor. Multiple Desktops makes it easier for users to manage a number of apps and windows in a hassle free way. It means that without opening multiple windows and cramming the desktop, users can set up an entirely different virtual desktop where different apps and programs can be opened.